We are excited to bring you new and focused content from the Chicago Latinx theatre community. Look forward to interviews, artist and designer spotlights, ALTA updates and more! JOIN US for Noche Catrina! We welcome you to dress in costume to your comfort to celebrate El Dia de Los Muertos, Halloween, or just the fabulous, creative artist that you are! The event will feature great music, free libations, and room to dance! 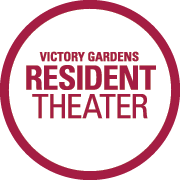 The social will take place in the Victory Garden's Rehearsal Room. Under 21 are welcome. Servers will be actively carding for libations. Children are welcome at parent discretion, but there will not be childcare available. There will be loud music and alcohol in the environment. There will be free face painting! If you're not a member and would prefer to register in person, ALTA members will be available to help you register. Please bring a digital copy, in your email or a flash drive, of a single PDF with your resume and headshot! Be on the lookout for our monthly newsletter the ALTA Shout!, where you'll find Latinx show listings, ALTA updates, community highlights and some food for thought. Submit your shows, give us a shout back on our ALTA Moments, and see the work that's happening around the city! Since the amazing turnout at The Color Game: Whitewashing Latinx Stories townhall, volunteers from across Chicago have been hard at work organizing and refining the incredible work of the attendees and all those who participated online. The livestream is available on our Facebook page, and the Storify article about the town hall can be found here! Let us know about your experience at the town hall? What was it like working in your small groups? What have we learned? What's next? Send us your thoughts! ALTA's new membership program has officially launched! New, and old members must register to receive all our amazing discounts and benefits. Discounted rates on tickets, continuing education and professional development, ALTA socials and events, free advertising, and voluntary inclusion in our artist database are just a few of the membership benefits included in the new program! For a full list of discount participants and more info on our database, please visit our website.